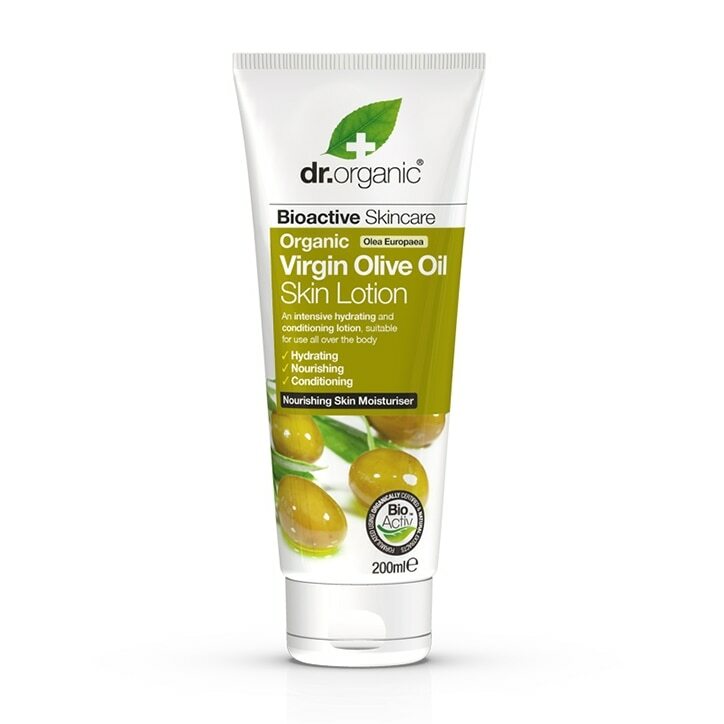 Dr Organic Virgin Olive Oil Skin Lotion is a wonderfully moisturising, soothing and replenishing lotion for everyday use. Bioactive organic virgin olive oil is a super hydrating fruit oil, rich in nutrients including oleic acid. Organic virgin olive oil is combined here with a proprietary blend of bioactive, natural and organic ingredients to moisturise your normal to dry skin. This beautifully effective skin lotion sinks in quickly to moisturises deeply without leaving a greasy layer, meaning you can give your skin the nourishment and hydration it needs. Dr Organic Virgin Olive Oil Skin Lotion is rated 4.8 out of 5 by 23. Rated 5 out of 5 by La Folle from Quick delivery I am happy that I could find those here because they do not sell them anymore in Denmark where I live!